First off, this blog is not meant to be a personal diary, so I apologize for the nature of this post. However, since it’s a story of the media based productions I and the pixelmorph team undertook this year, I guess it was all right to do this, so here it goes. I dreamt up the pixelmorph idea on one of those my really hungry days back in 2011 or so, slaving away in one of those multimedia studios in lagos, I didn’t actualize it till late 2012 and in anticipation of 2013 I planned that one of the things I would do the next year was to among other things, actually produce content for a client, as in create, conceptualize, manage, and still shoot and then edit the whole darn thing. Between January and now, I’ve had the privilege to produce two [pilot] programmes for two very different clients who both had one thing in mind, to make a go of it on their first attempt(naive idea in retrospect, unless it’s a soap opera, nothing rarely ever flies without a pilot, considering that it’s not a syndicated oyinbo programme) . In other areas they were different; one was diplomatic the other insistent, one was knowledgeable about TV and multimedia and the other was not, in fact they also had different complexions,age and stature. Obviously they both failed in that regard, hence the reason they are now being pushed as pilot episodes. However, I also think that describing both projects as having ‘failed’ might also be a misnomer. Or I might say that while certain individual parts of their projects were successfully executed, the goal had to be shifted and expectations had to be reviewed downwards. Projects such as these thought me a thing (and twenty) about the Nigerian media landscape and dealing with people generally that I thought I should put in here, just to remind myself not to EVER try to make certain mistakes again in 2014 . So here goes my list. 1. As you try to ascend the ladder, certain relationships that were necessary and perhaps even beneficial become gangrenous, cut them off. Our movie industry(I somewhat hate the nollywood tag used to describe it) is ridden with people like these, producers or directors who wonder, “what does this editor think he is trying to do sef, when did he start doing nollywood work?” They probably have tangible reasons for thinking this way, and if not for the fact that they have only managed watery stories and passable cinematography in the length of their film making career, I would be sorely tempted to think that they were being objective with their criticism. So most times its best you make a clean break and steer towards those whom you’ve only met in passing in times past, when you’re done and successful (success is relative here, but you know what I mean) you can always go back to those people who were skeptical of your attempt with your “LOOK AT ME NOW SWAG.” I know, I’m humble like that. 2. Don’t sell yourself short. If they can’t afford you don’t go about doing the ‘lemme do this one for them for that price because they know a lot of people and can give me connections if I deliver this job and they like it.’ what we upstarts fail to realize in our quest for clientele is that there is no such thing as doing it on the cheap to gain a prospective client who has other wealthy friends who may become prospective clients too. You think he will pull a gun to his friends’ heads and say, “You must give that young man the video coverage work for all your events henceforth”? Yimu unto thee. The pure and simple truth is that he got a bargain off you, nothing else! He priced you like raw tomatoes about to go bad and you fell yakata! (konga.com, anyone?) More often than not you will be sorely tempted to believe that it was because you were too expensive that they refused to engage your services but if you are a wedding videographer charging a hundred grand to cover a traditional and formal wedding ceremony and you happen to stumble into a conversation with the photographers who let you know they charge twice as much as you and your video crew team are about to earn, sorry, but you’ve just been had(sometimes na wash O! Unless said guy is brandishing an authentic galaxy note 2 at the time). Oh and don’t do family either, all those remotely related relatives who are suddenly introduced to you because they need you to cover an event, Chai! 3. Niche is everything! The problem is, the hustle is leal nwanne (the ‘l’ is deliberate) More often than not you probably want to push yourself as a programme concept designer,production and post production concern, and probably media marketer. The only problem with that is the fact that you as a startup, are lean on muscle, so while it is probably doable, you expend more energy trying to service multiple needs and end up up to your neck in the kind of projects where monetary remuneration is still a long way down the road and begin to shift deadlines on jobs that you would normally be able to get done quickly. It becomes frustrating both for you and your clients. 3b. Don’t offer more than what you can provide. I can’t overstate this, personal experience and all that. The thing is that some clients don’t know what they want and how to get it,so they turn to the nearest available person, you. Nowadays I have created a list of things that I cannot and will not do for clients nor will I refer them to anybody who will be able to do such jobs for them-since some clients will just end up hounding you to complain that the person you referred them to has bungled stuff up. Sometimes I break that rule sha, I think that’s what rules are met for. So I don’t publicize, market, generate sponsorship, engage in social media interaction/marketing. Basically pixelmorph doesn’t do anything PR related. iCreate, iConceptualize, iDesign, iShoot, iEdit, I implement visual and special effects (see me doing advert sha, oh yes) and we do those things pretty darn well thank you. 4. Find a jolly good band of mad people and stick to them. Mad people take risks, like shooting in dark environments without a sungun or any form of lights and still under expose their shots because they believe you are the best editor on this side of the spaceship called earth and if you say you can fix it in post, then you can. Mad people also skip out on having meaningful relationships so they can spend money and time – and brain cells they could have lost to weed or alomo – on a rabid idea you conceived that only they can see the inherent genius in(I pity them, he he). Mad people like @slim_gidiboi, wale and tonysouls can pester you to get that fleeting thought in your head towards reality. Motivated And Dedicated (yeah they MAD like that) people don’t go about saying why did this mad man involve me in this kind mumu project wey I no see shingbai collect? Rather, they’d jump in for another roller coaster, turpsy turvy ride to get it right. They dream beyond the nine to five, they grow with each new experience, earning more ‘battle scars’ so to speak. Lastly they won’t blame you a hundred percent, that’s the part I like. 5. Trade On Value. No free meals in Freetown, but the thing is upstarts are somewhat like birds of prey, primarily because they are able to sport other upstarts like themselves and do the solidarity thing. So while you’re on your ‘let’s take back the media from those old cronies up there with too much money and too little ambition, idea or innovation’ mood, upstart B will be like, ‘but the money is not there yet, that’s why I want us to pool resources and partner on this my project.’ Don’t grow cold feet and run off when they tell you about how they’re short on funds(you don’t want to meet them less than a year later and they are giving you their LOOK AT ME NOW SWAG) how about you then gently insinuate that while money may not be the currency under which this transaction will be negotiated, where there are values worth trading, you wouldn’t hesitate to do so, trading on value causes whoever wants to partner with you understand that while you’re reasonable and commiserate with the person’s predicament, you are not entirely naive and your assistance or collaboration will only go as far as they can add value to your brand. Oh,by the way, your assistance had better be in a way that their inability to deliver on your value barter agreement cripples their project, dazzall! See why I’m in post production? If however you’re feeling nice and really optimistic about an idea broached to you by another upstart looking for a partnership to get things off the ground and you want to hold off on getting paid or value barter, get a lawyer and an iron clad agreement, shikena. 6. Learn to say NO, and mean it! Some people are just not a good fit, some you should chase with holy water and koboko, some you should dally with, stay on the fringes, close enough to jump in when stuff starts to sizzle, a rare few you should wholly immerse your resources in. No over flogging this one. 7. Things will go awry that has nothing to do with your competence, or lack of. If you’ve been around this our Nigerian entertainment and media industry eh, you’ll realise this soon enough. Some guys and girls are all fluent, coherent, composed and chatty till they see that red light of the camera come on, and if you’re on a budget, you don’t want to rent camera for the rehearsal and then the actual shoot. Where it’s not the cast or talent, it’s the equipment. Had an interview recently and we were all set up, lights and all. The moment the interview subject came in the 2K light died and all I was left with a relatively dark space was my sungun, editor and cinematographer of life that I am I prevailed. The other shoot with a stuttering talent was however for all intents and purposes, shelved. 8. Visibility! That’s a hard one, but sha try. Any tips? Well just realize that multimedia should not be just about entertainment. There documentaries and causes you could lend your production and post production skills to. If you however want to do entertainment, how about you re imagine it. Nollywood movies get a lot of flack for being stereotyped, with storylines that break easier than haansbro krakers, and in the case of movies produced by Rukky Sanda, for being poor remakes of African American films. There are African stories that can make waves on the film festival circuit and you can champion that. A 5 minute webisode, a special effects demo reel, a compelling short film, start somewhere and leave those ones whose only ambition is to throw a film to Silverbird cinemas and alaba to continue, when your recipe becomes proven, they will flock like the bandwagon people they are to imitate your storyline. Just try something radical and hope you get away with it. 9.Make Bad films/projects. While we are on the subject of Rukky Sanda, I just has to add this. Regardless of your film school education or lack of it, your early years will be punctuated by a few bad offerings with your name on it, just ask Spike Lee, from great films like Inside Man, Malcolm X to some other watery stories I can’t even remember right now, so don’t feel bad when your work gets berated by critics and audiences alike, however don’t like Rukky Sanda kill us with mediocrity every single time. You’re supposed to get better with knowledge acquired from a bad experience. 10. There’ll always be those projects you envisioned that never got off the ground and those ones that’d make you wish for a time machine so you could go back and get it right, or trash the set because they still owe you six figures almost a year after. 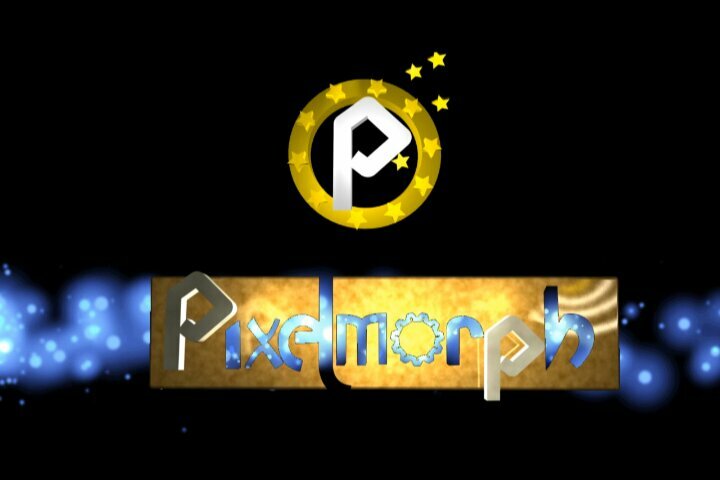 That’s our 2013 at pixelmorph, I have some expectations of our media industry come 2014, will be sharing that in a few. By the way, I think we have discount offers for events coverage services this month of December, and if it’s not just an event, a WEDDING perhaps, then it is a whopping 40 percent discount.